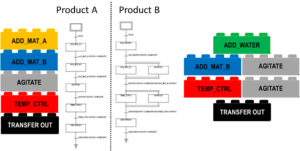 In the late 1980s, the Instrument Society of America (ISA) started the SP88 committee to establish a set of standards for batch control. The strength behind the ISA-88 standard is the concept of modularizing a process by separating what the equipment and personnel can perform from what we will like to do with it. 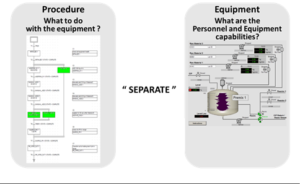 By separating these, the team developing the automation of the process can look at the Process Equipment and Personnel functions and create reusable modules of code that can be called upon to perform the required steps to follow a procedure used to carry out an objective. 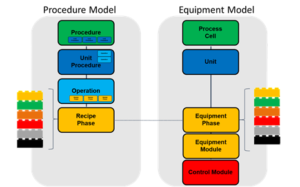 To achieve the modularity and flexibility, the standard defines a “Procedure model” and an “Equipment Model”. 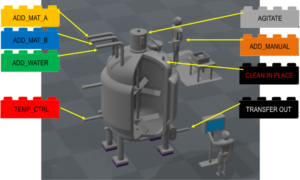 Each of these models is broken down into well-defined manageable reusable components.